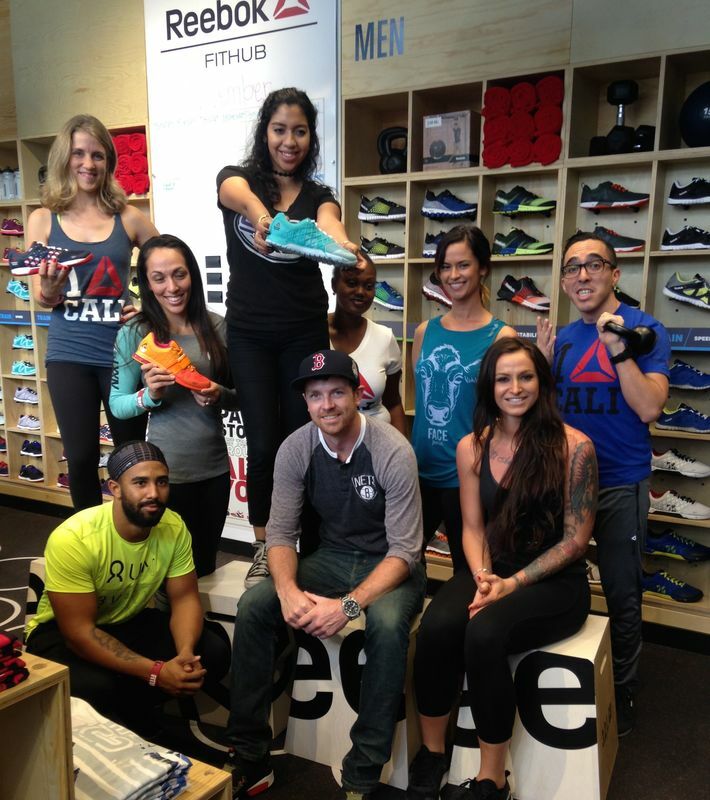 I had the opportunity to attended the grand opening of the Reebok Fithub in Rancho Cucamonga at Victoria Gardens. 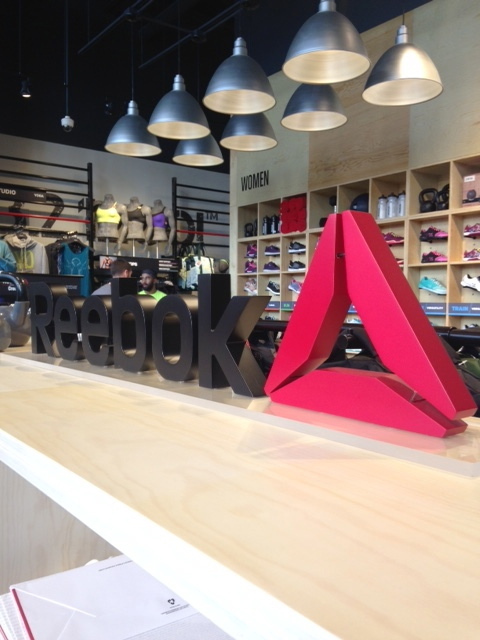 From the moment you walk in to Reebok's FitHub it is obvious it is so much more than a typical sporting goods retail store. Every display rack and wall is some sort of functional fitness equipment, including plyometric boxes to sit on while you try on shoes. The store is staffed with fit and friendly individuals of all types, whom most of which are athletes or do Crossfit themselves. They wear and train in the Reebok gear so they were quickly able to answer all of my questions. Not only does the store look like a gym, all of the displays can roll away for in store workout classes that will happen during regular store hours. Reebok's Fithub carries its fit theme even in to the dressing room with a demonstration of workouts to do to test out potential new gear. 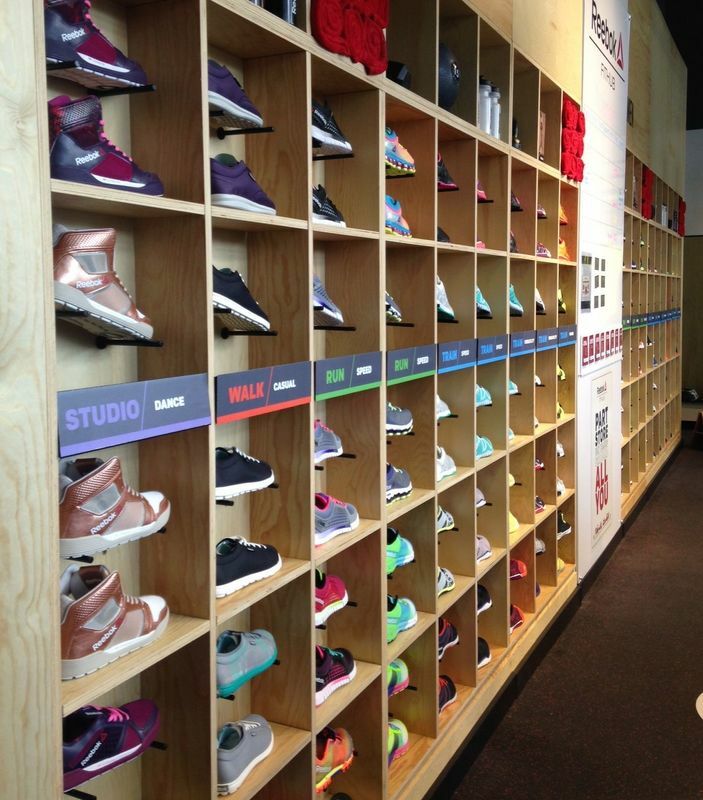 The shoe wall was very impressive. I know my friends who do Crossfit will love being able to try on and even test out the new Nano 4.0 (the only shoe specifically designed for Crossfit). This week Reebok sent me an incredible package of apparel and footwear for this Fitfluential campaign. I tested it out during my training sessions and bootcamp and I have to say they have a new customer. The Reebok ZQuick Electrify - Women's shoe is so light weight and flexible. Talk about being able to turn on a dime. They are extremely breathable. The apparel is very stylish. You could go straight from training to errands looking fashionably fit the whole way. 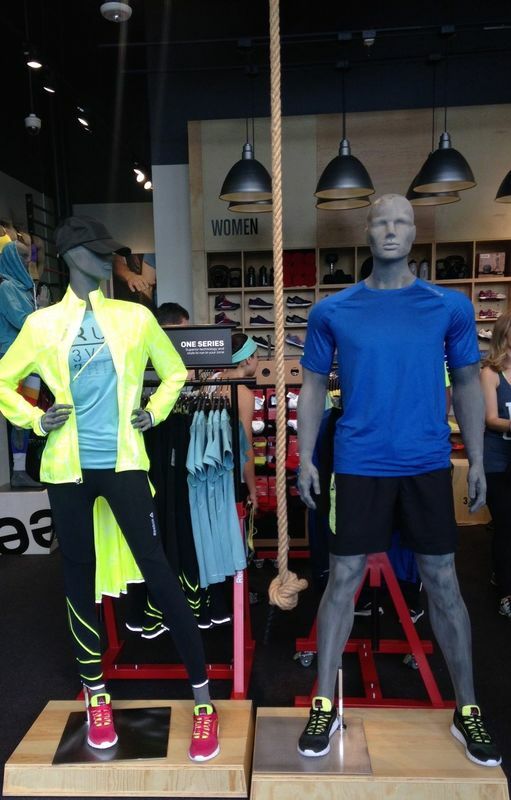 Whether you Crossfit or not Reebok has something for everyone who loves fitness. This is a sponsored conversation written by me on behalf of Reebok.